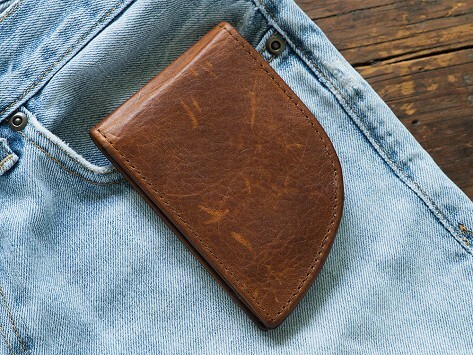 Made in Maine, this men’s front pocket wallet has some advantages over the traditional back pocket style. It’s safer to carry your billfold in the front, and can also be less stressful for your back. Crafted with moose leather, this wallet’s curved design fits perfectly into curved front pockets to carry both cash and cards comfortably. For extra protection, it has RFID blockers stitched in. For people who like to have their wallet in their front pocket I highly recommends this wallet, the design of it really nice. Given as a gift and have been told he uses it all the time. Likes it a lot.